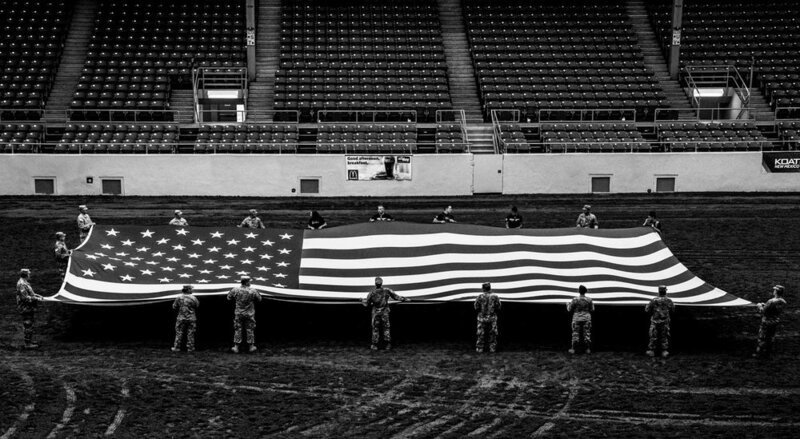 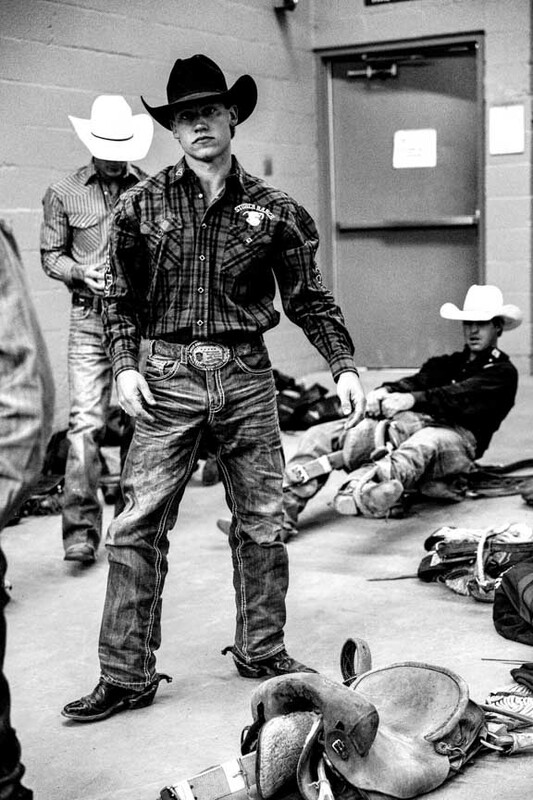 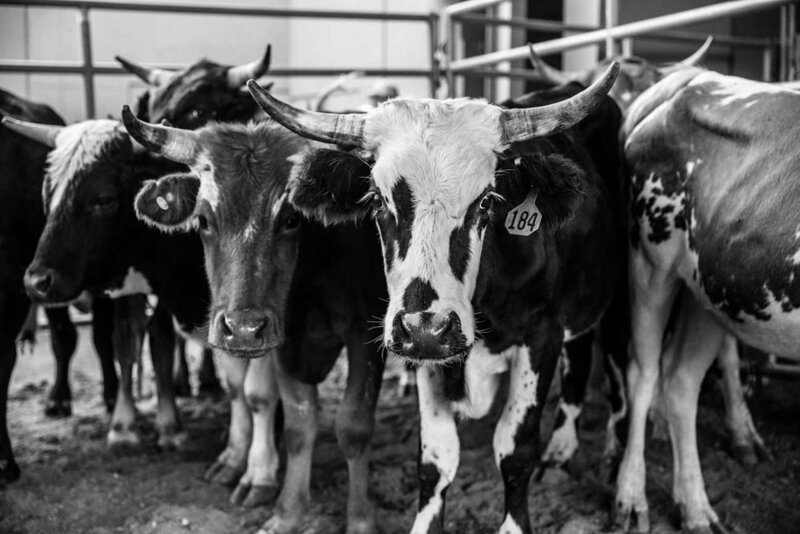 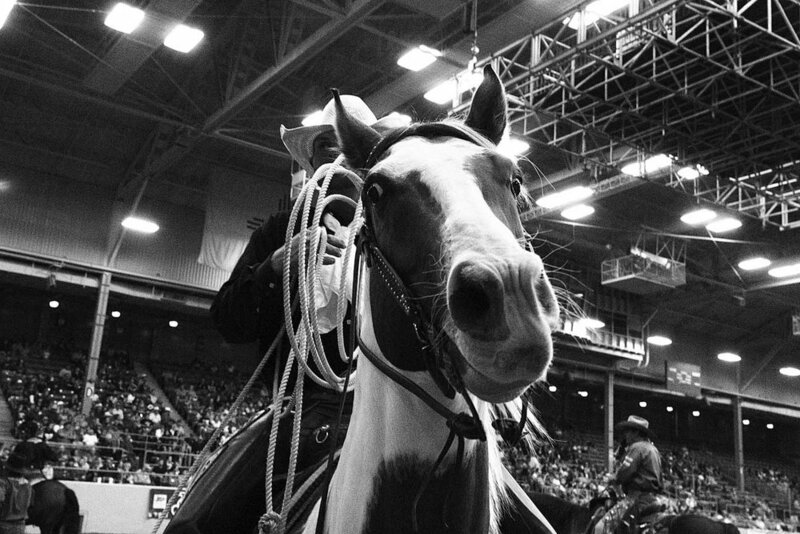 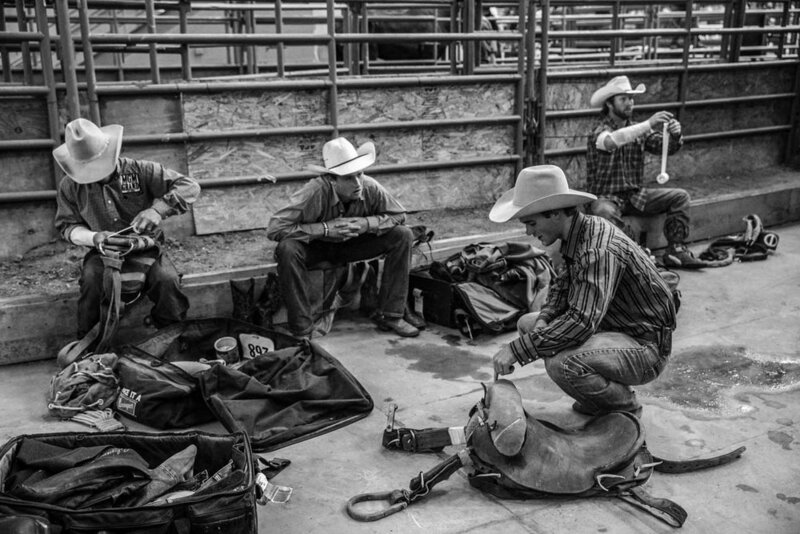 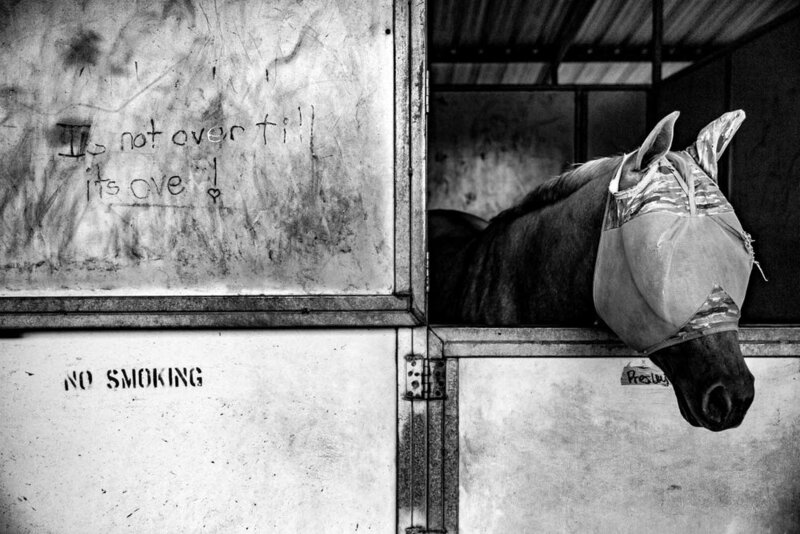 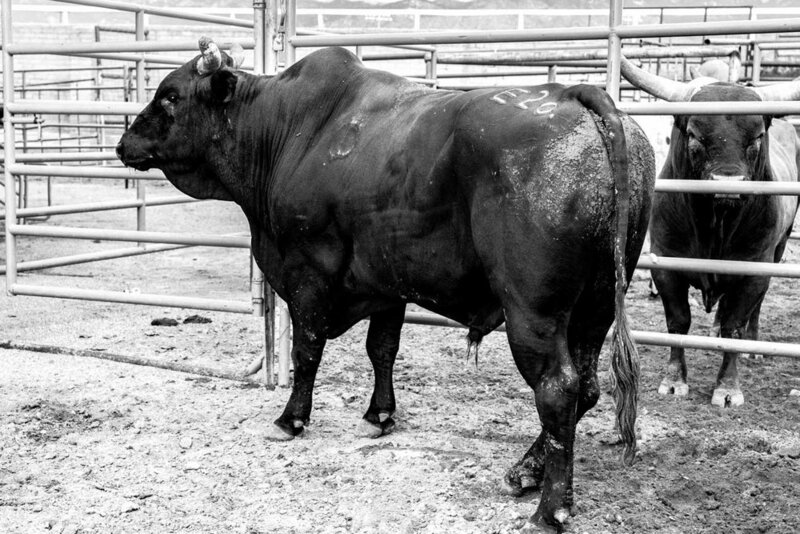 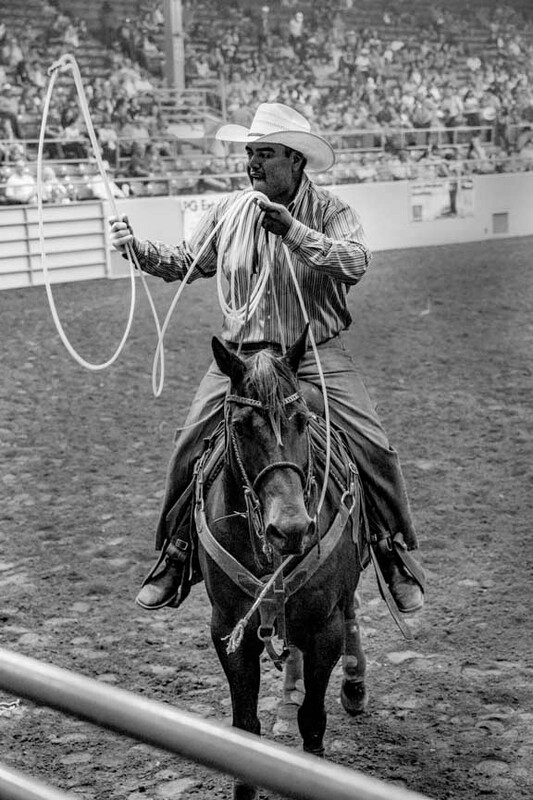 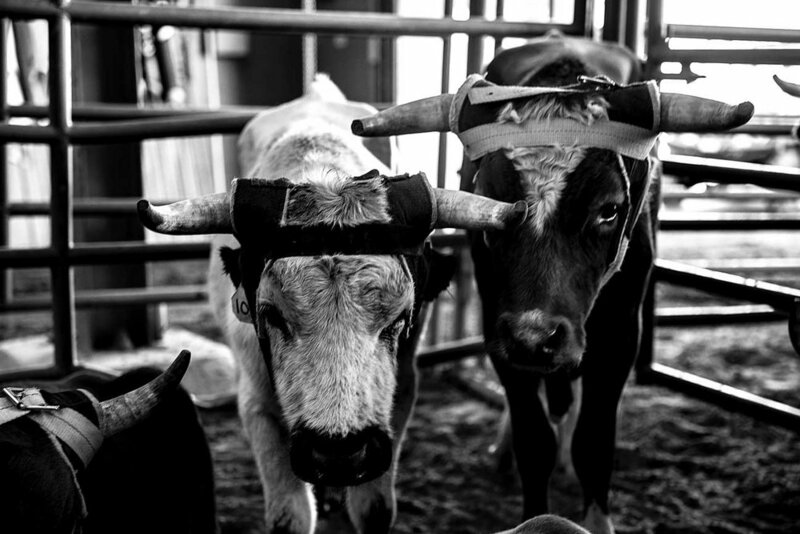 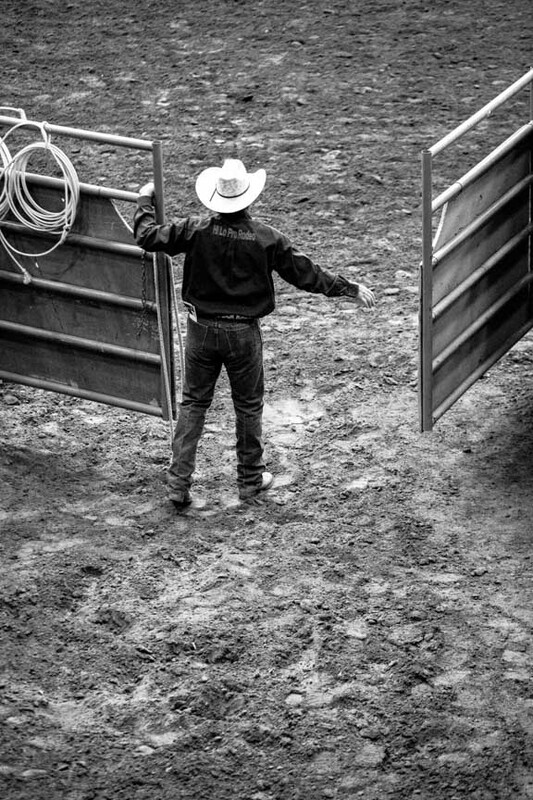 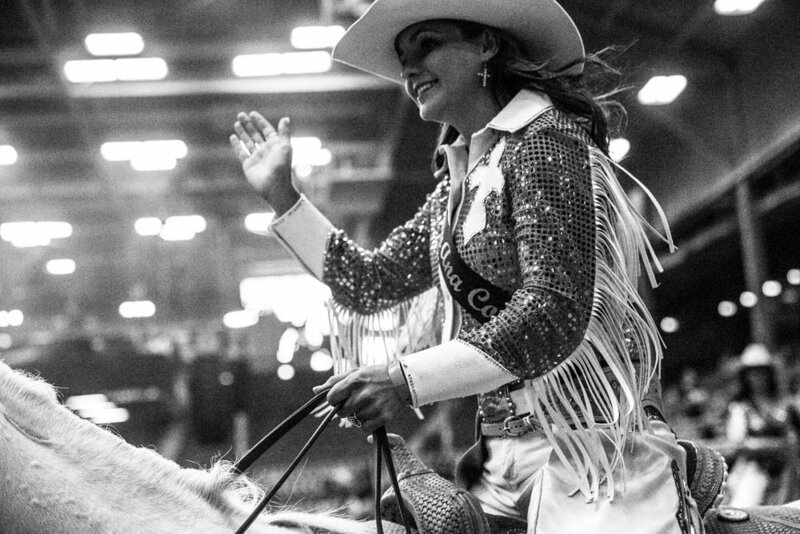 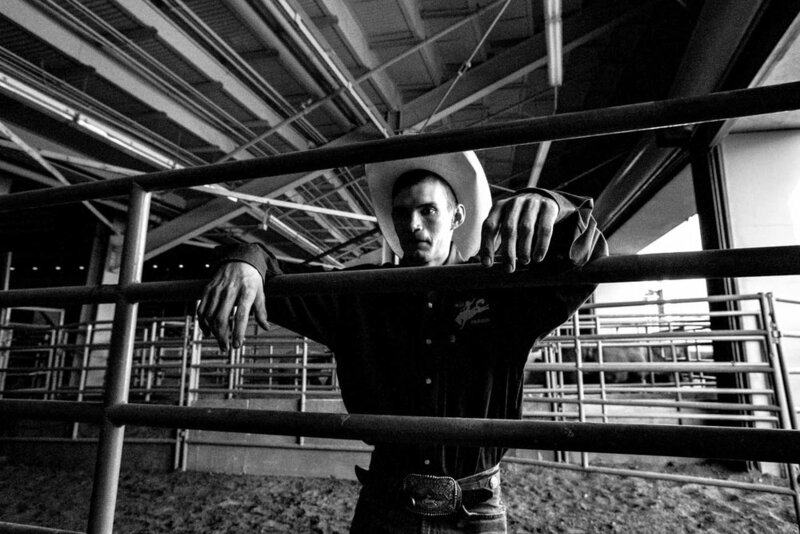 This group of images is the result of several all-access, behind the scenes visits to the PRCA Rodeo held at the New Mexico State Fair. 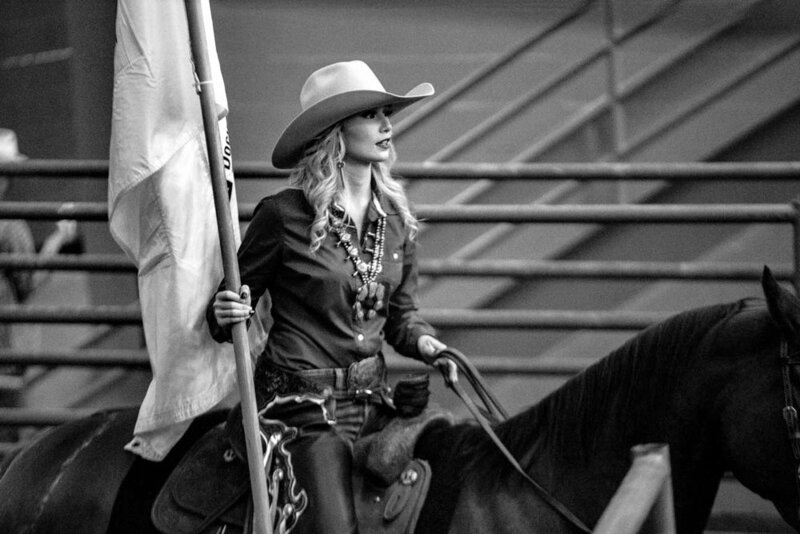 As a self-proclaimed “city slicker” I found the energy and atmosphere of the rodeo to be, at turns, intimidating, exciting and somewhat foreign. 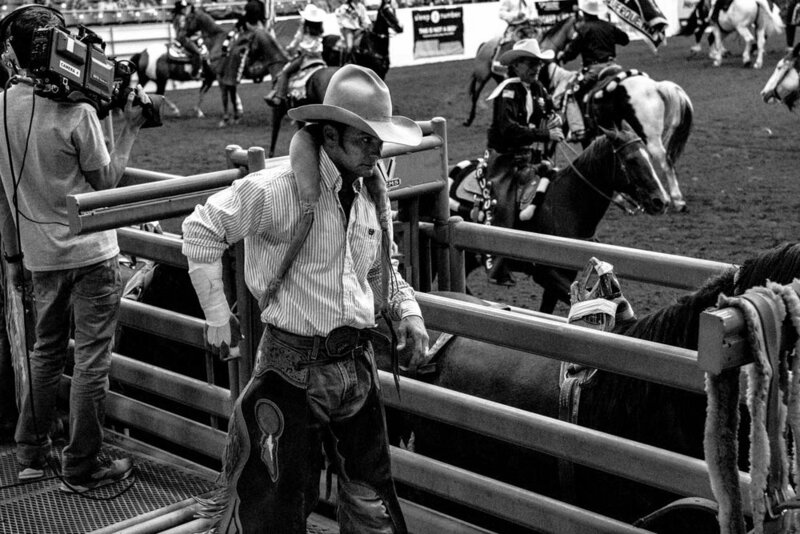 I was mostly drawn to the cowboys themselves; the way they prepared for the inevitable physical and mental challenge against the power and unpredictability of the animals of the rodeo. 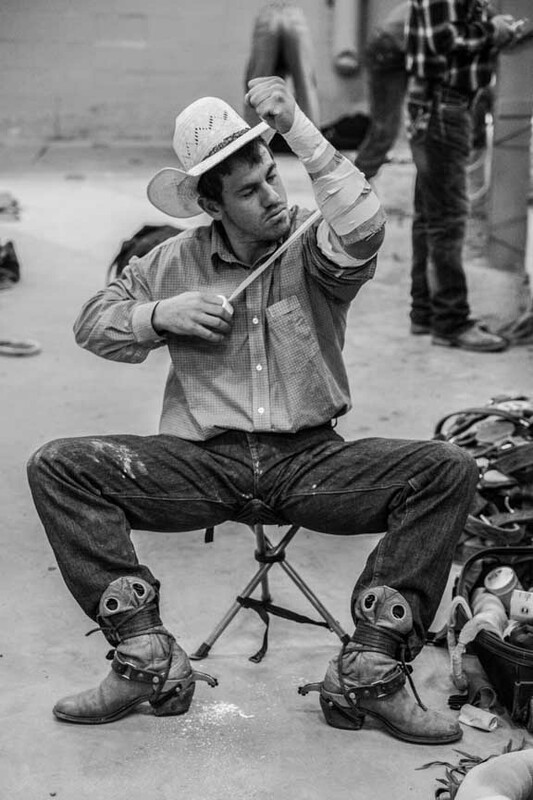 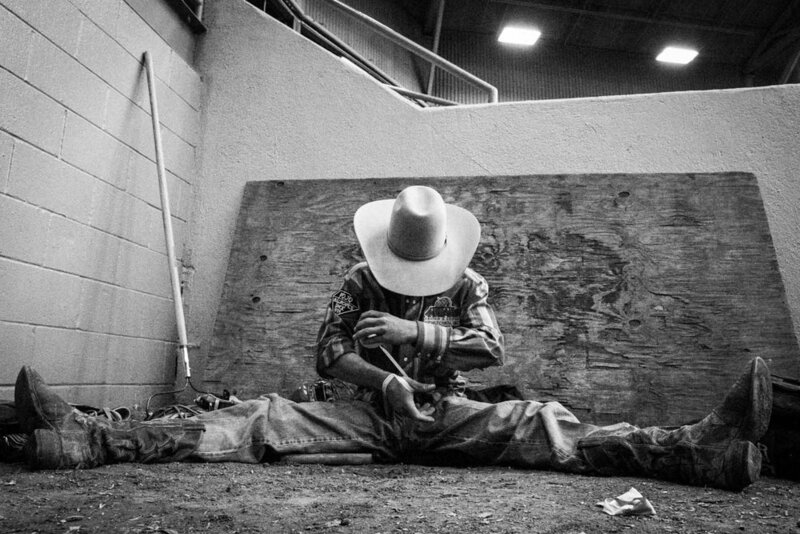 I found the reality of rodeo life in many ways debunks the myth of the American cowboy while reinforcing it at the same time. 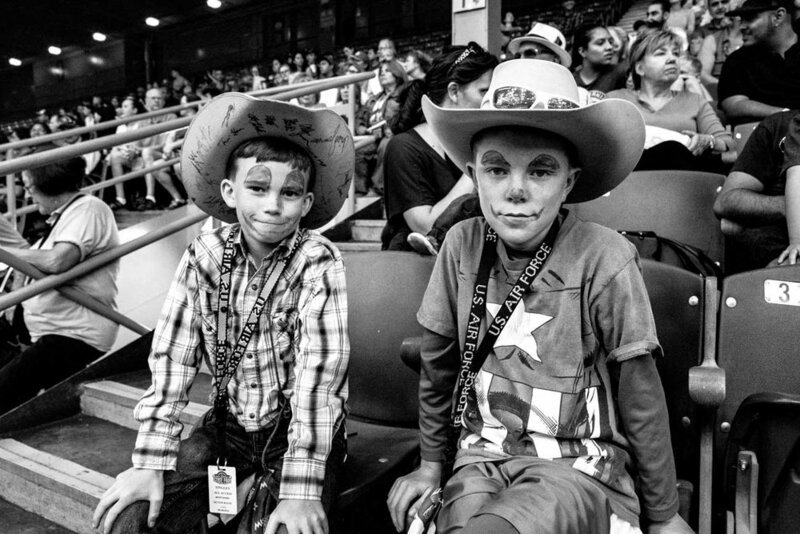 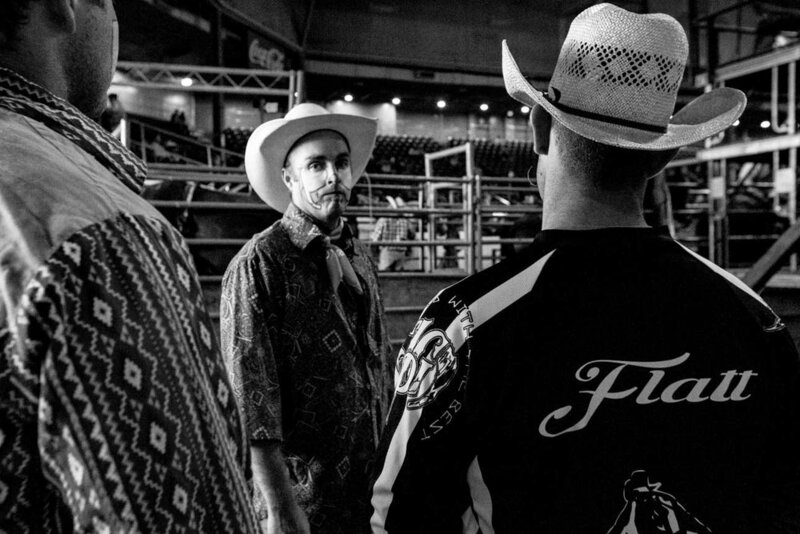 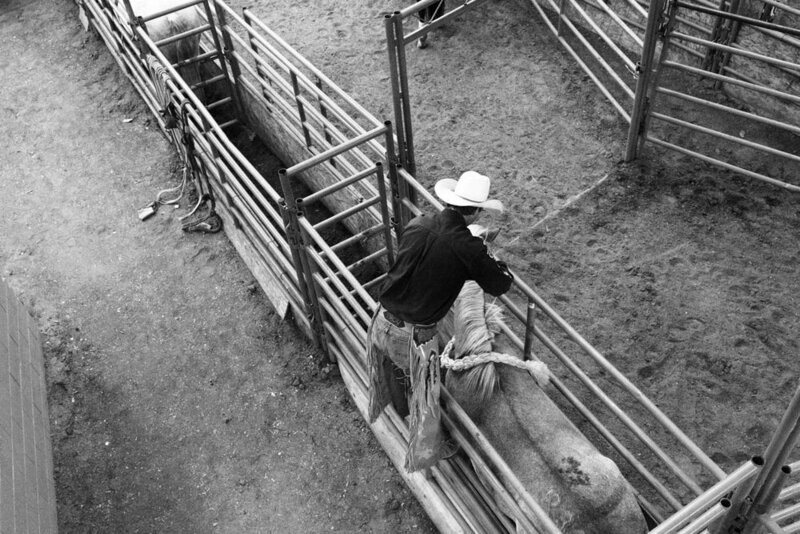 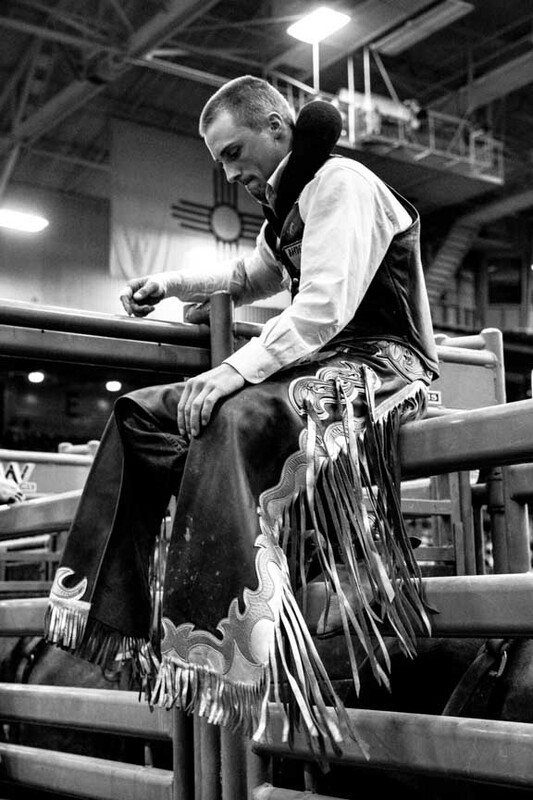 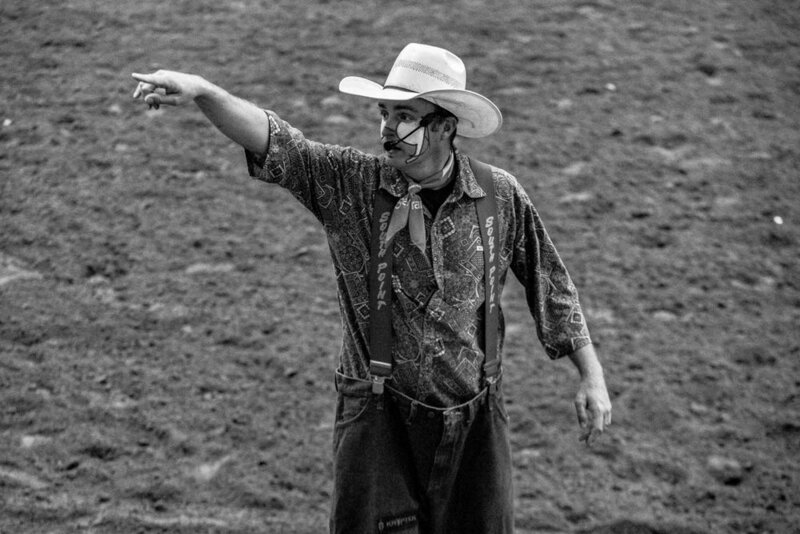 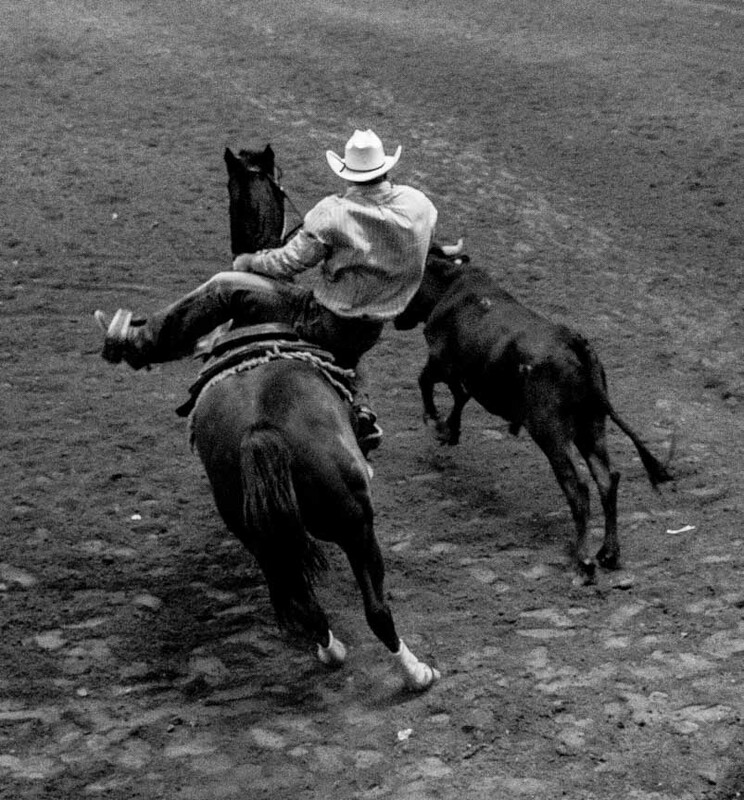 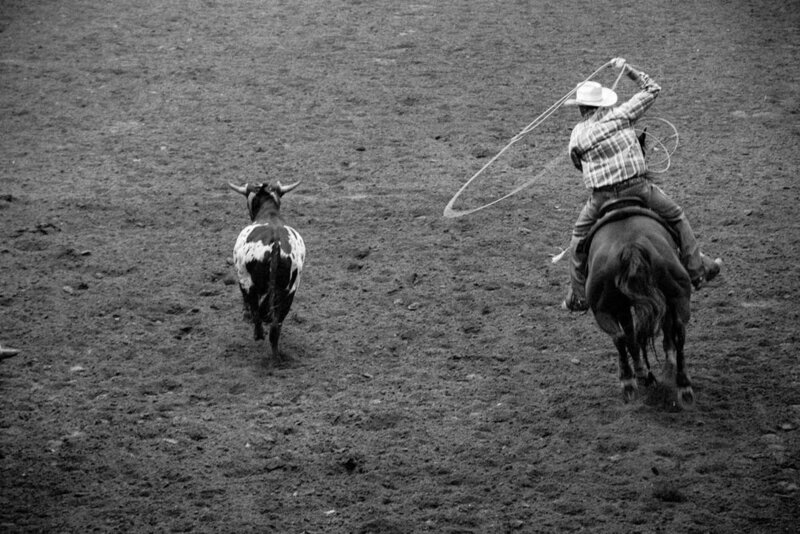 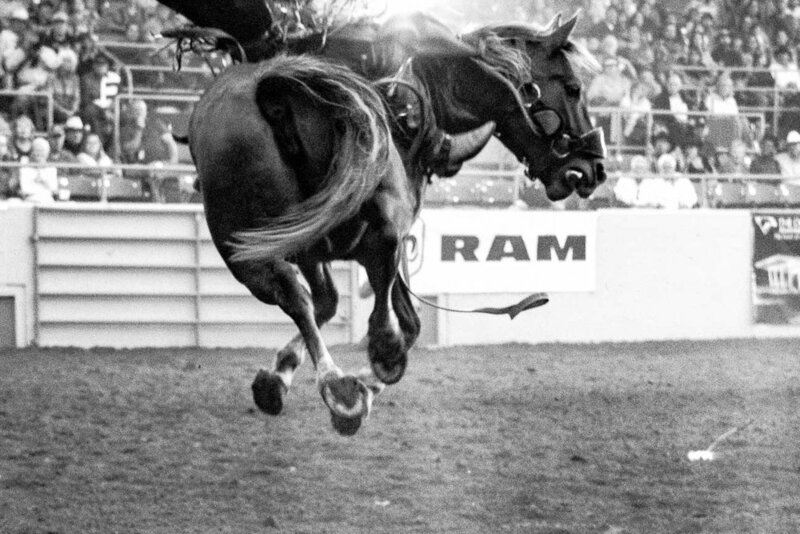 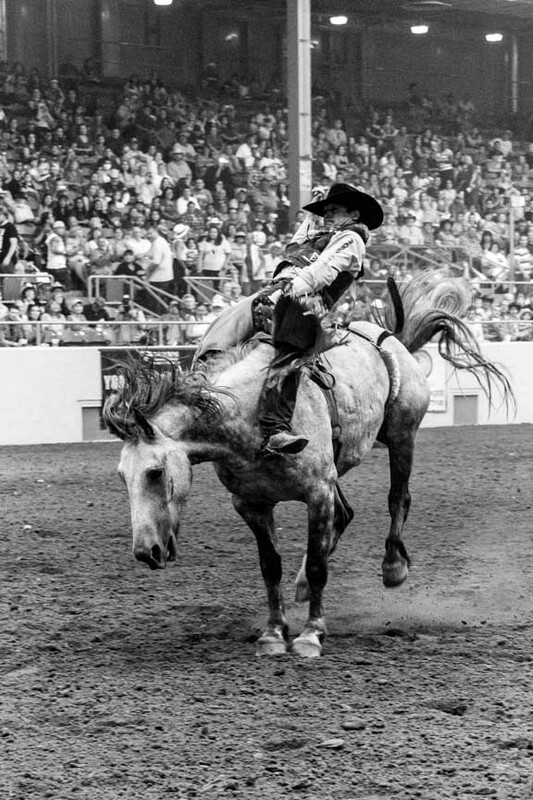 Ultimately, the tradition and the mystique of the rodeo endures.